If you are looking to buy a scanner you have two main options to consider first. Do you want a dedicated, standalone scanner or do you want a multifunctional printer than prints, scans and copies? The answer to that question basically depends on what you need to scan and what quality of scans you require, although space and price may influence your decision also. To help you make the best choice, let’s go over the advantages and disadvantages of both dedicated scanners and all-in-one printers. A device that is dedicated to one task is almost always going to be better at that task than a device that does multiple tasks. This is also true for scanning. If you need high-quality scanned images or fast scanning speeds, then you will be best off with a standalone scanner. Two good examples are photo scanning and duplex document scanning. If you want high resolution scans of your photographs you will want a photo scanner. If you need to do bulk, two-sided (duplex) scanning of documents, then you will want a document scanner. While you can find all-in-one printers that can perform these tasks, the output won’t be as good. The other times that a scanner would be chosen over a multifunctional printers is for specialized task like book scanning, business card scanning, portable scanning, etc. There are many scanner types that specialize in certain tasks that just can’t be accomplished at the same level with an all-in-one option. Sometimes this is due to design, sometimes this is due to accompanying software. One con of buying a dedicated scanner is the use of space. Flatbed scanners have a decent sized footprint and will take up valuable real estate on your desk that is only used for one purpose. Theoretically, you could store a scanner somewhere else but that can be inconvenient and a bit risky as the scanner could be damaged with moving. The obvious advantage of buying an all-in-one printer is that you can do 3 to 4 tasks with one machine. 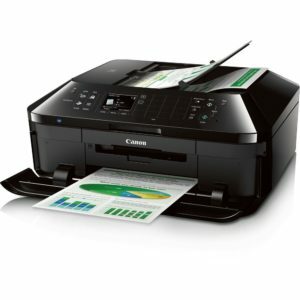 A multifunctional printer can scan, print, copy and depending on the model, also fax. If you don’t already own a printer and/or a copier, you could kill a few birds with one purchasing stone. 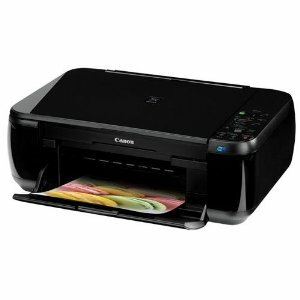 And as mentioned, a multifunctional printer will get you more as far as space consumed and money spent. You can buy a nice all-in-one for about the same price as a mid to high end scanner and it will take up less room on your desk than having two separate units. The disadvantage of buying an all-in-one for scanning is that the quality will be not be as good, depending on the model of scanner you are considering. Image resolution will be lower and scan speeds will likely be slower, again, because the device is not specialized. Software options will also not be as good as far as photo-editing and even OCR. Overall, the choice between buying a scanner or choosing the best all-in-one printers comes down to what you need to do. If you need to scan books or film products (negatives or slides), then you will need a book or photo scanner. But if you just need to scan a few documents or a few pictures, then an all-on-one may work better and be more cost-effective, assuming you can utilize the other functions. The good news is that there are many great choices in both dedicated scanners and multifunctional printers with varying features to meet your needs. There are also multiple price points to fit your budget. Check out our buying guides and product reviews to get a better idea of what is available.